These are the reviews for Bryn Goleu. There are 9 reviews. We have stayed in various properties in the area and can honestly say that this was the best! Perfect ..overlooking the bay and harbour..fantastic sea views ..lifeboat coming and going ..amazing part of the village heritage. Quiet location..walking distance from pub,harbour,shop,cafe and award winning chippy. 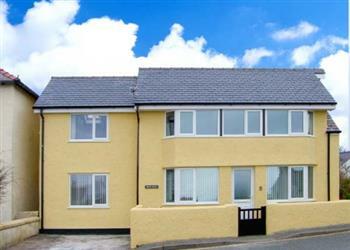 Short drive to perfect family friendly beach at Benllech.. House gives space and room to spread out and is bright clean and has all amenities. Rear garden is perfectly secluded for family barbies. Owners are lovely friendly and accommodating ..available when you need them. The house was absolutely beautiful, the sea views just made it. Amazing cottage in a beautiful location. Everybody had an amazing time whether we had sunshine or rain. The cottage has been decorated beautifully, it is a very modern and relaxing environment for any age. We loved that the coast is directly in front of the cottage with amazing views and is a lovely place to go for a walk. I would definitely return and recommend to everyone. It was a lovely clean spacious house, with fantastic views from the upstairs windows. 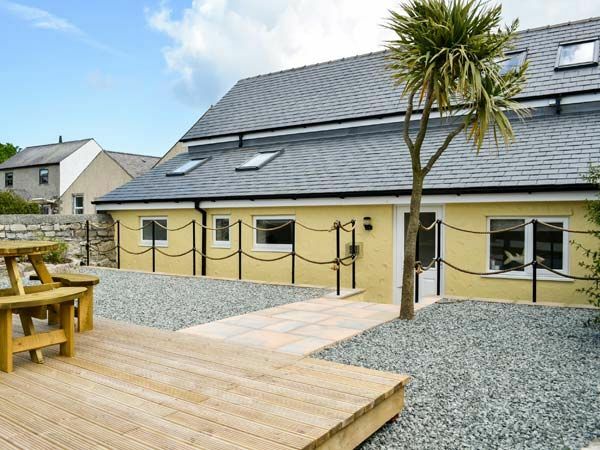 Bryn Goleu is a well furnished, family friendly property, with great views of the sea and ideally located. Perfect house with beautiful views in an ideal location. We will be back. The house was amazing with plenty of room for everyone and we were a party of 7. Everything about it was lovely and would definitely visit again. The location was stunning looking over to the Great Orme and Llandudno and very convenient for the coastal path and Red Wharf Bay along the coast. Very convivial pub. Tried the chippy - it was excellent - worth waiting for. Would definitely recommend it. If you're looking for other cottages around Bryn Goleu, we've got some cottages below which may take your liking. There are 83 cottages within 5 miles of Bryn Goleu - and they have reviews too.